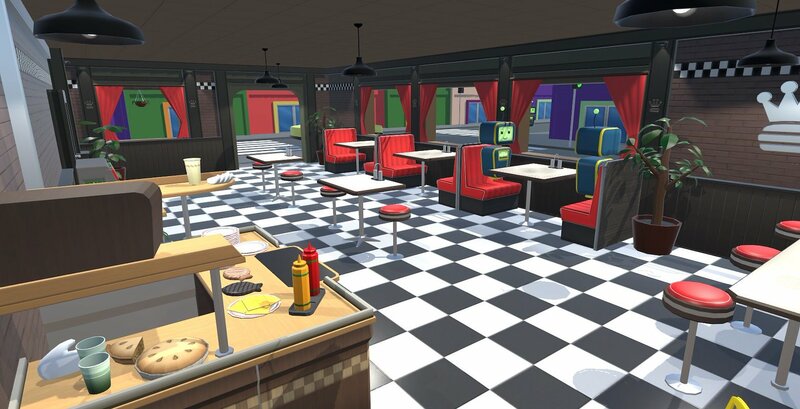 VR The Diner Duo is a local cooperative multiplayer game for the HTC Vive. One player plays using the VR-set while the other player uses the computer to play. Together they have to serve food to hungry customers. I started working on this game during the summer after my second year at the University of Skövde.